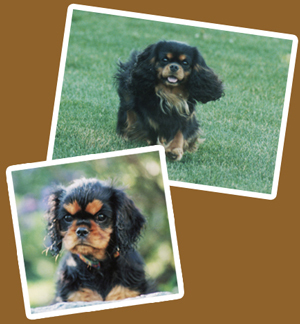 Willowyn Cavaliers is dedicated to the showing, breeding, and improving of whole colored cavaliers. We have a passion for our Black and Tan, and Ruby beauties. All our cavaliers are tested for eyes, hearts and hips. Enjoy looking at these beautiful dogs. Pet puppies available on occasion. NEW!!! Willowyn Kennels would like to announce a new joint venture, Snowbird Kennels, between Valentina Schuler and Elaine Lesko. 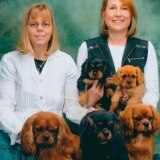 The Snowbird prefix will be used when quality breedings occur between both Willowyn (Lesko) and LaCanina (Schuler) Cavaliers.